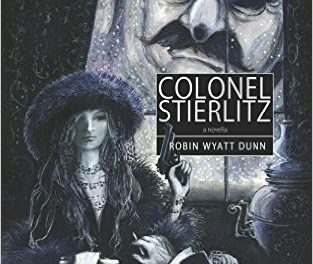 Colonel Stierlitz is a fictional character created by the late Yulian Semyanov as the former Soviet Union’s foil to Ian Fleming’s western adolescent psychopath, James Bond. I will confess to seeing Bond as a nasty piece of work badly in need of a shrink, but I am always amused by the concept of `intelligence’ particularly after Blair’s Dodgy Dossier. Is any truth possible in post-modern times? Discuss. Semyanov created Stierlitz as a true hero of the Soviet Motherland in that as SS Standartenfuhrer Max Otto von Stierlitz he penetrated the Reich Ausland Sicherheitsdienst in Berlin during the Second World War. In one particular drollery he discovered a secret arrangement between the British government and Hitler to make a peace agreement behind the back of the Soviet people. Of course he did. He had to otherwise how else could the Soviet regime legitimise the Molotov-Ribbentrop pact of 1939 subsequent to the disastrous experiences of summer 1941? 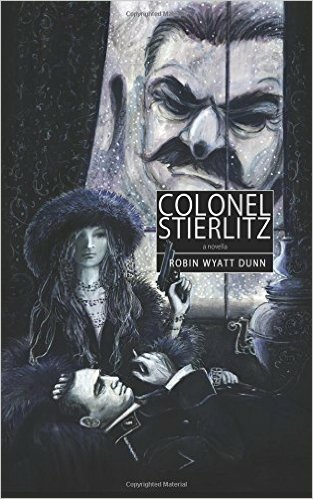 It is muted that the fictional Colonel Stierlitz is a favourite read of Vladimir Putin, or is that Pushkin? This book is a fantasy about a fantasy of a fantasy. I have not come across anything quite so fantastic. Its feet never touch the ground. The writer endeavours to recreate the wonderfully dark and ironic character of Soviet humour. He tries very hard but doesn’t quite make it as he lacks the actual experience of those dark, ironic times as Mother Russia grumbled under the heel of the Soviet hegemony. He seeks the great soul of the Russian people, but like all outsiders he can only grasp at the periphery. But then, only a few insiders were ever capable of describing its fullest essence. This ineloquence apart, the tale is an amusing, if confusing, read. Given that during the Cold War the American CIA funded the publication of a literary magazine called `Encounter’ as a foil to Soviet literary influences in Europe, I am left wondering whether or not this book has a similar, sinister origin. 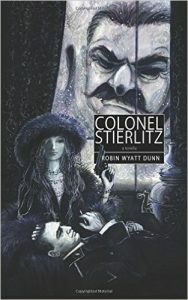 Colonel Stierlitz is a complex, often irritating character, a bit thick even, who is secure in his love for Mother Russia, his mistress Ekaterina and his sleeping wife. At one point the Slavonic, shamanist female spirit, Baba-Yaga drives to his rescue with a gnome detector! The women-folk look out for him, humanising and strengthening Stierlitz in his endeavours. The action shifts principally between Los Angeles and Moscow. There are several Moscows described, including a ghost Moscow as Moscow is where the heart is. The problem is that an avatar of the late Comrade Stalin, who for some inexplicable reason wants to buy a bakery, has been resurrected. Stierlitz manages to assassinate this imitation Stalin, only to keep finding him alive again usually in the sewers of Moscow. The tale has all the self-mocking characteristics of a nightmare. Can Russia ever rid itself of that Georgian interloper, Stalin? If anything this tale seeks to determine the nature of modern Russia through an examination of the Russian past. In that it fails largely due to the inability of modern Russia to fully comprehend and embrace the grotesque tragedy of the Soviet period when a utopian dream mutated of its own volition into a bureaucratic nightmare. It is this which drives the Ruritanian nationalism of Putin – or is that Pushkin – which seems to reject the true glory of the Russian revolution as found in the peasant collectives of early 1917. Stierlitz is in love with this true Russia, or should we call it deep or even profound Russia. Having discovered my own roots in the rural communism of the English radical puritan conventicles, I find myself in a sort of bizarre solidarity with Stierlitz. But then, this tale is not about reality. It is a fantasy. Where fantasies initiate political action then they can also become a reality. Is this the reality of Mother Russia? Only a Stierlitz could ever know.